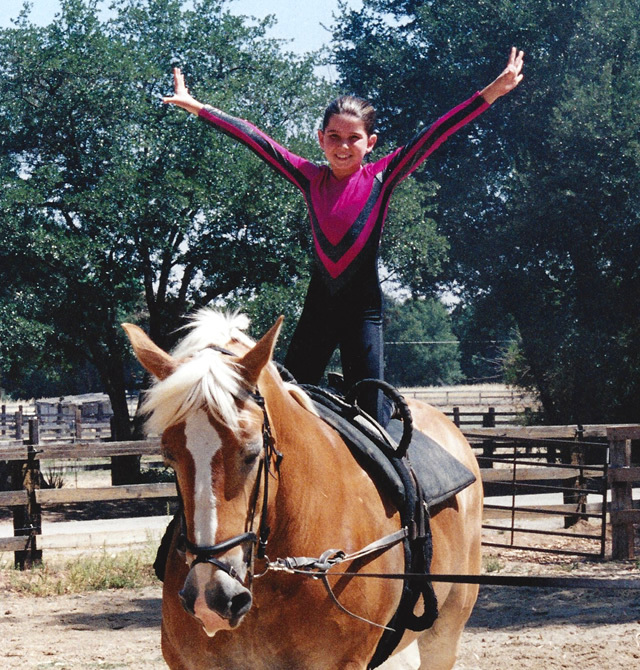 What I like most about vaulting is the horses, Natasha and Rosie. I have learned so much from vaulting that I am able to do the splits. It scares me a little but it's also exciting. I am so glad I joined vaulting because it was the right thing for me!